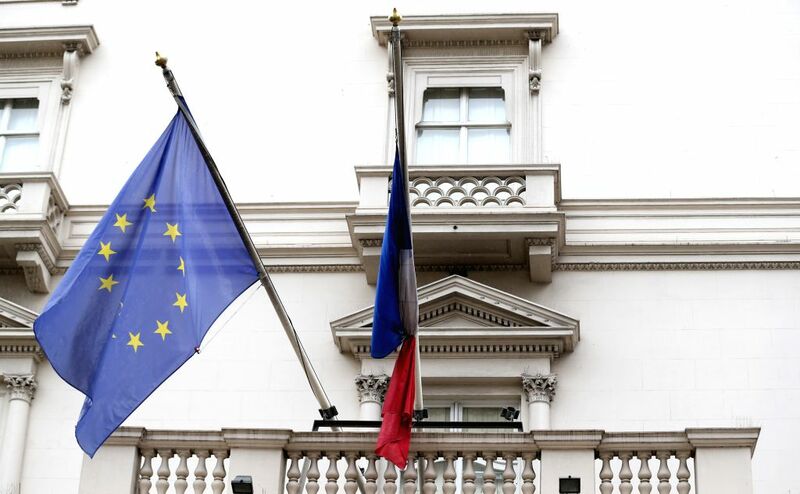 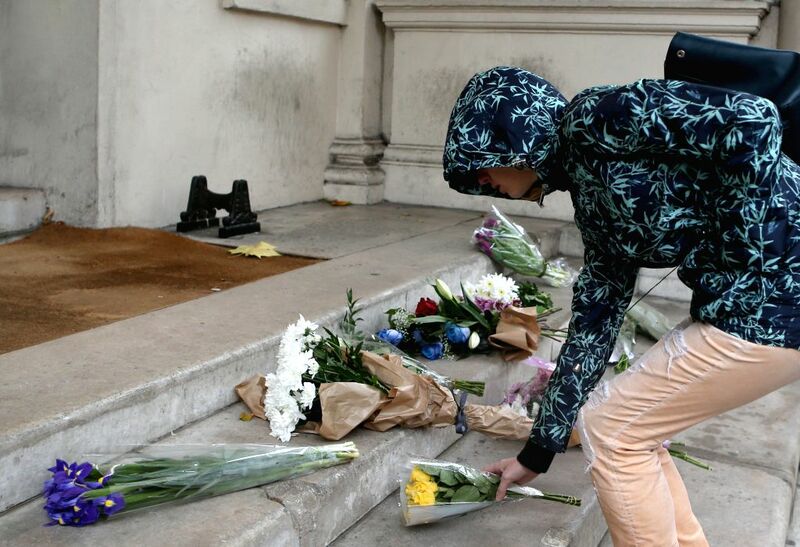 LONDON, Nov. 14, 2015 - Flowers are placed in front of the French Embassy in London, Great Britain, to mourn the victims of a series of attacks in Paris, on Nov. 14, 2015. 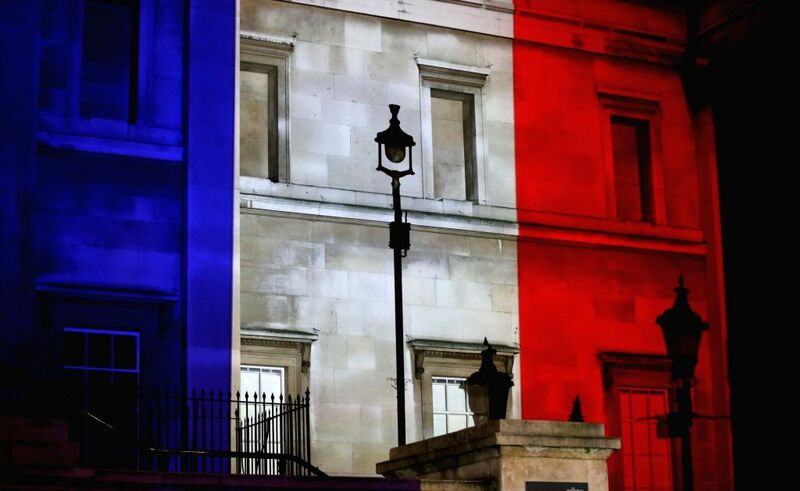 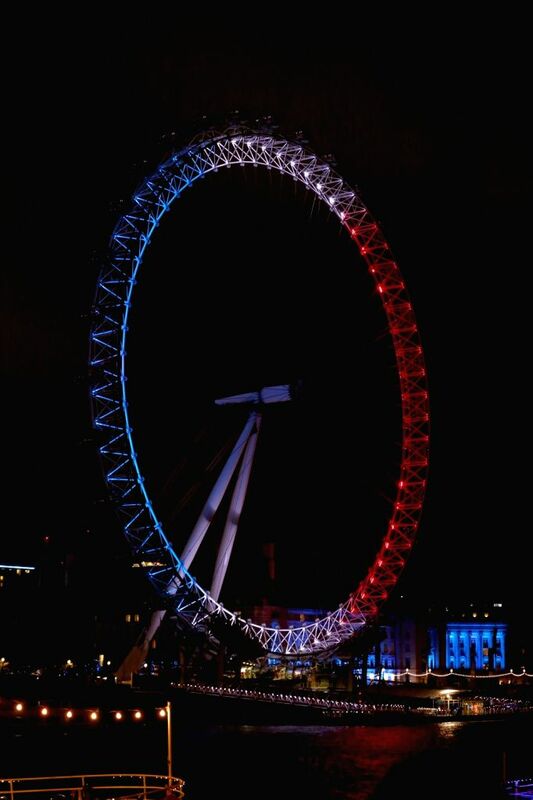 Colors that resemble the French national flag are seen on the National Gallery in London, Britain, on Nov. 14, 2015. 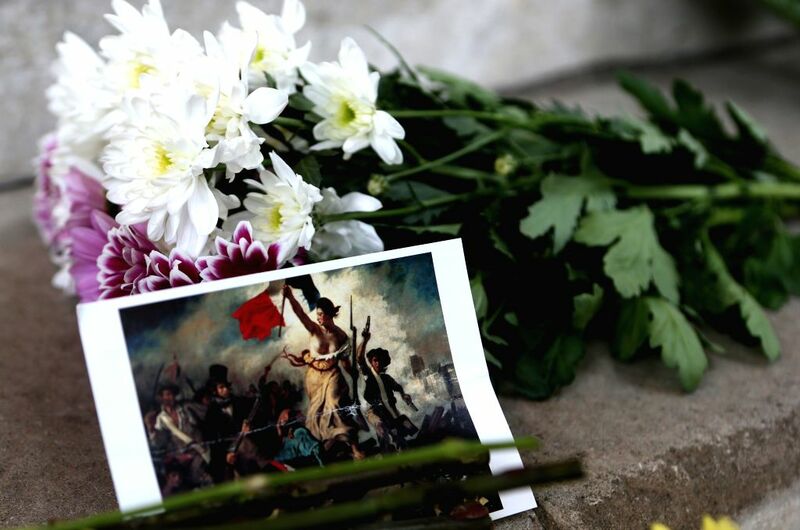 The provisional death toll of Paris attacks is 129 and 352 injured, among whom at least 99 in very critical situations, Paris Prosecutor Francois Molins announced Saturday evening.